This volume is a collection of papers approaching the phenomenon of language from a variety of perspectives. Scholars in phonology, morphology, syntax, lexicology, historical linguistics and translation studies share the results of their research. They invite the reader on a journey into the multifaceted and complex world of human language, moving from the study of sound through the description of structure to the analysis of meaning. 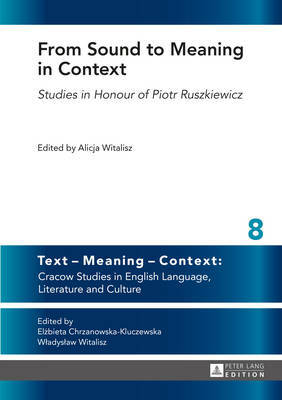 The volume has been brought together to honour Professor Piotr Ruszkiewicz from the Institute of Modern Languages of the Pedagogical University of Cracow, a linguist and academic lecturer.